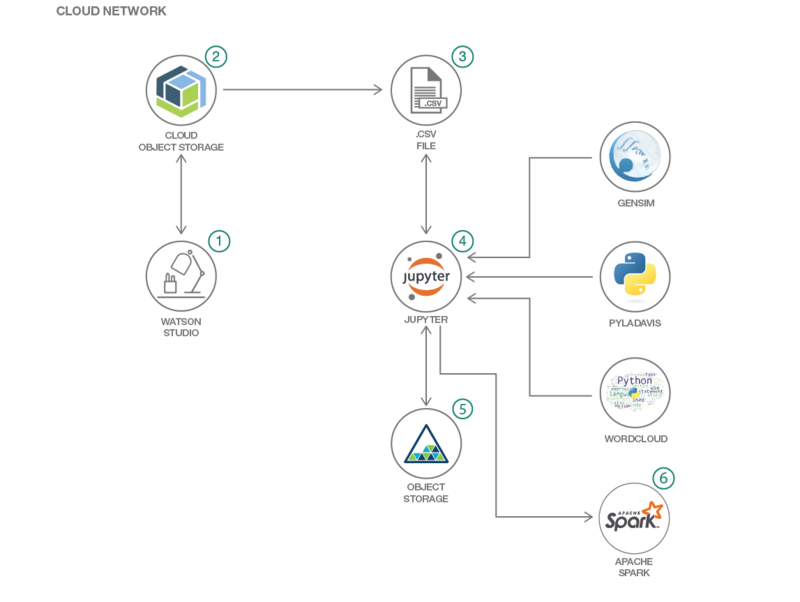 In this pattern, we’ll demonstrate a methodology to summarize and visualize text using IBM Watson Studio. Text summarization is the process of creating a short and coherent version of a longer document. There are two methods to summarize text: extractive and abstractive summarization. We’ll focus on extractive summarization which involves the selection of phrases and sentences from the source document to make up the new summary. Techniques involve ranking the relevance of phrases in order to choose only those most relevant to the meaning of the source. We’ll also demonstrate different methods to visualize the data that can provide a quick view. Summarize the text from documents and news feeds. Create topic modeling on the text to extract important topics. Create visualizations for better understanding of the data. Interpret the summary and visualization of the data. Analyze the text for further processing to generate recommendations or taking informed decisions. Log into Watson Studio and create an instance, which includes object storage. Upload the data file to the object storage. Import a Jupyter Notebook from the URL. Run the processing techniques and create a statistical model for topics in the notebook. Explore the visualization in the notebook and export the output to object storage.